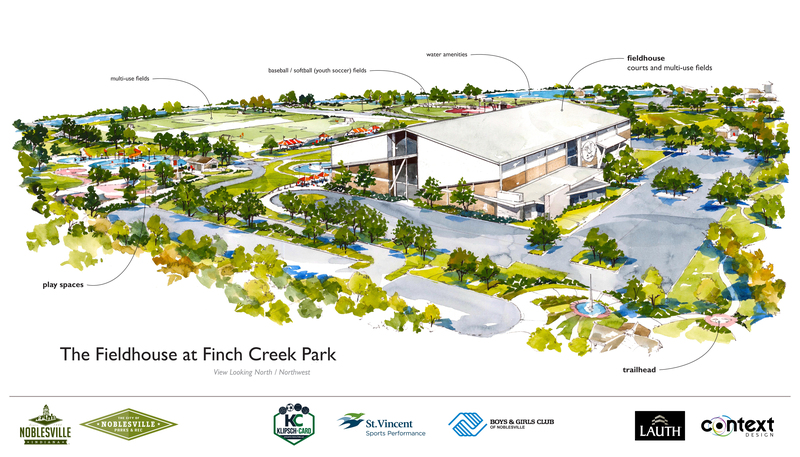 The Noblesville Common Council approved the agreement with Klipsch-Card Athletic Facilities LLC to build the Noblesville Fieldhouse at Finch Creek Park during its December 20 meeting. Initial plans for the $15 million, 130,000-square-foot youth sports facility were announced on November 29. $300,000 annually in Property Tax for 20 years. $250,000 annually from the Corporate Campus East TIF for 20 years. Sell 10 acres of land for $500,000 – which is just 5 percent of the total Finch Creek Park property of 203 acres. This project does not provide a tax abatement. Klipsch-Card is responsible for paying all capital (construction), operating and maintenance costs. The city has been in discussions since spring with Mike Klipsch and Andy Card, co-presidents and CEOs of Klipsch-Card Athletic Facilities LLC. Their plan for the Noblesville Fieldhouse, includes five hardwood courts, 75,000 square feet of indoor turf and a 10,000-square-foot physical therapy office. 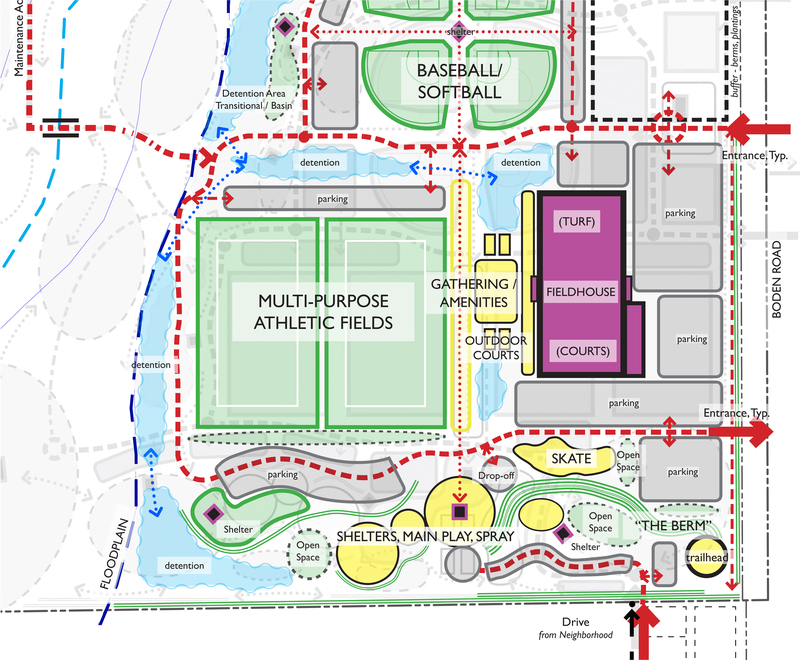 At the Council meeting, Card announced plans for a potential 200-meter indoor track that will surround the turf fields and be approved by USA Track and Field, which makes hosting indoor track and field events a possibility. Card said that since the announcement, they have received interest from a volleyball club with 100 teams, baseball teams and tournaments, an international soccer academy, flag football organization, a Futsal League and if Noblesville could become the international Pickleball headquarters. The Noblesville Fieldhouse helps jumpstart the construction of the City’s sixth park on the east side of Noblesville near Klipsch Music Center, Hamilton Town Center and Exit 210. The 203-acre Finch Creek Park, which will be built out in phases, is bordered by Boden Road on the east and East 166th Street to the north. Budgeted at $8.9 million for construction of phase I, Finch Creek Park is expected to break ground in late spring 2017 and begin with the southeast portion just north of the Blue Ridge Creek neighborhood development on Boden Road. The cost of construction includes all utility relocations, infrastructure, roads, parking, play areas, landscape, lighting and more. Bennett said the anticipated park amenities included in the first phase of construction include three shelters, a restroom, age appropriate playgrounds, a spray ground, basketball and pickleball courts, park parking lots, a large berm utilized as a play feature, trail connections and a maintenance facility.